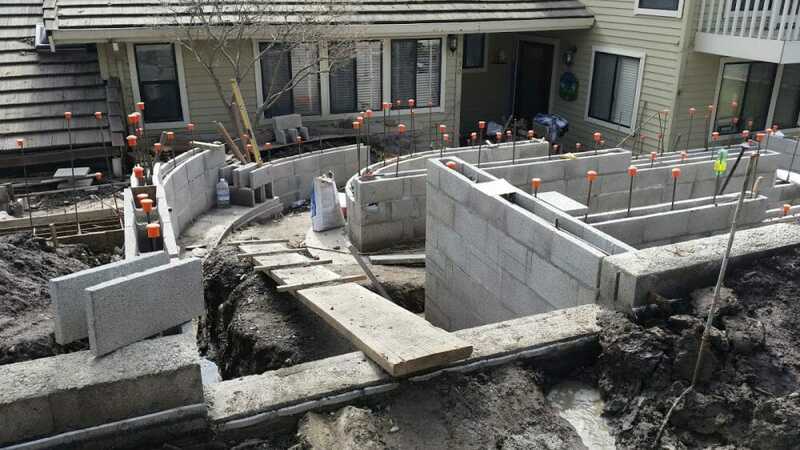 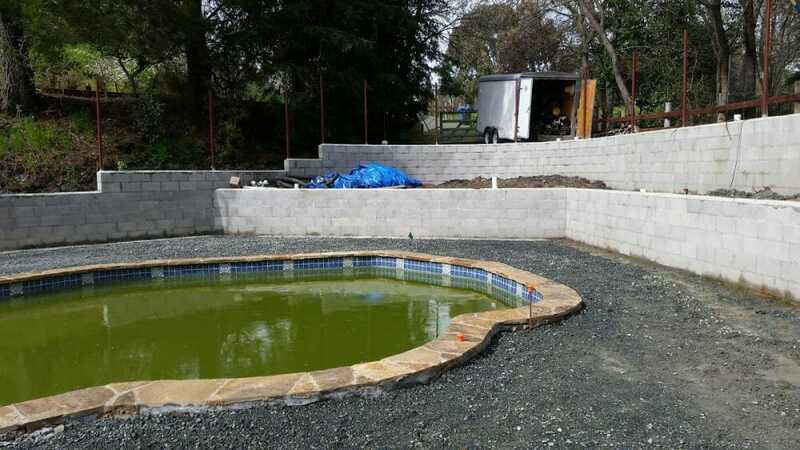 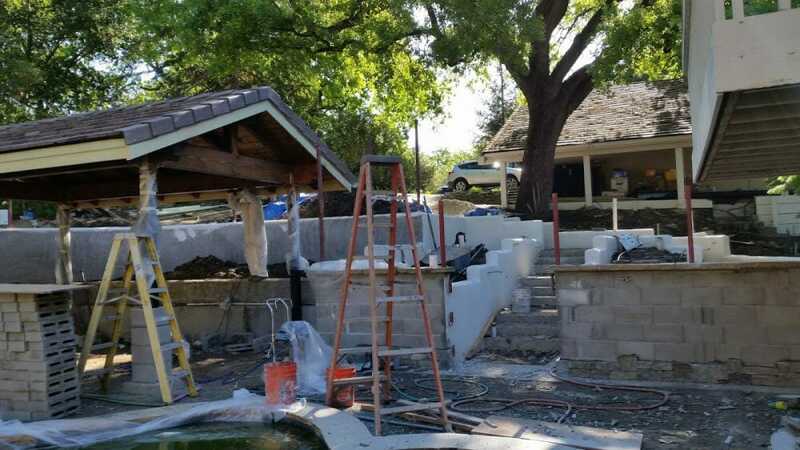 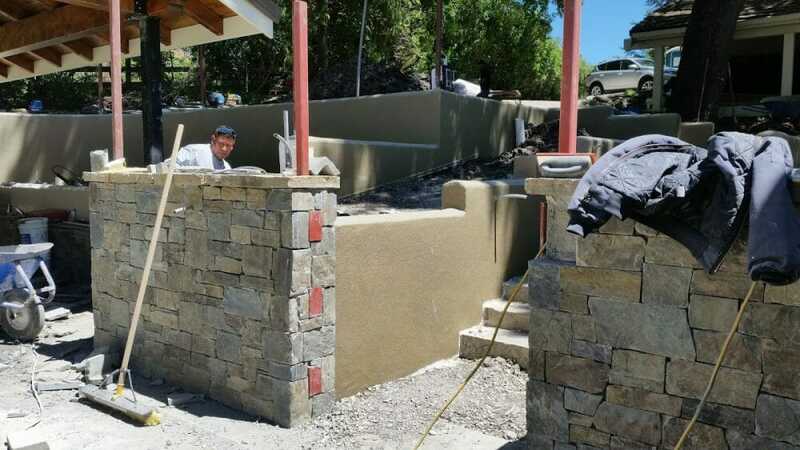 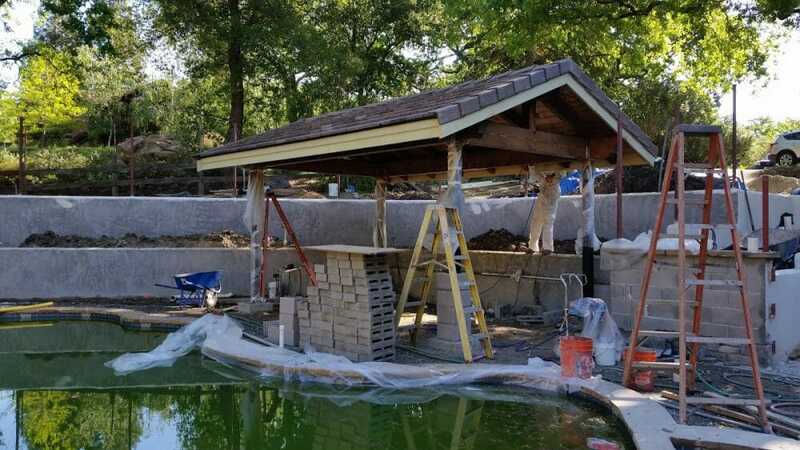 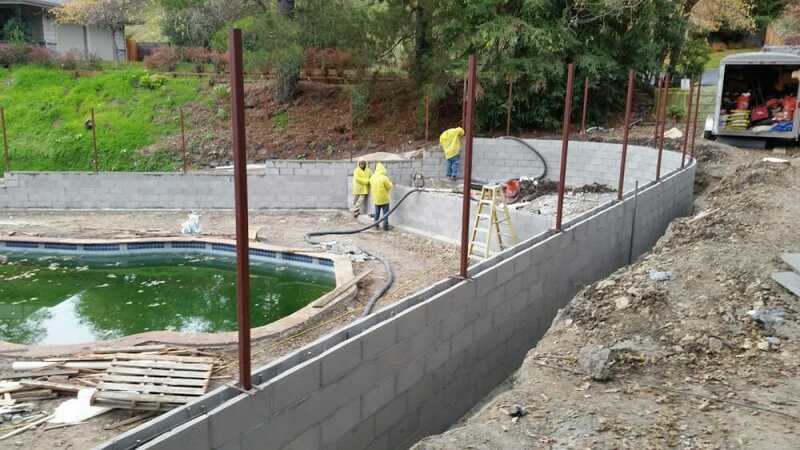 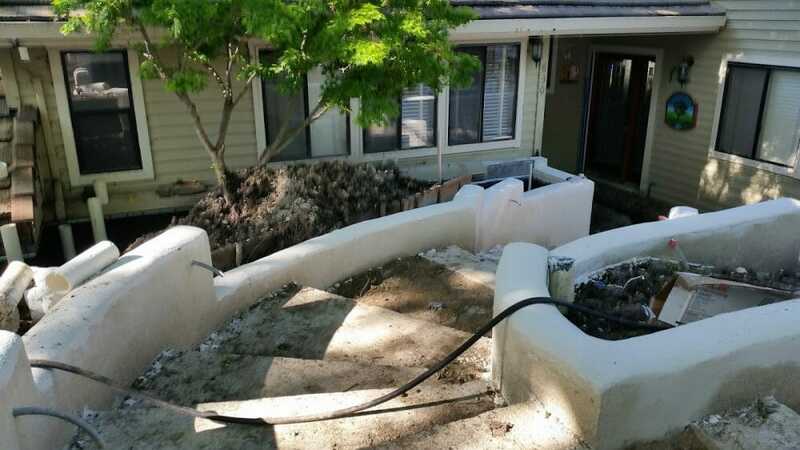 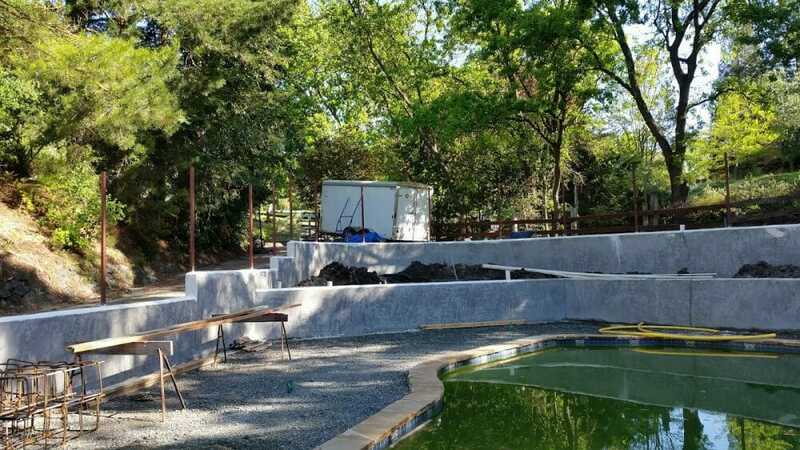 The homeowners brought SFLA into their project to replace very old retaining walls that looked one rain storm away from collapsing into the family swimming pool! 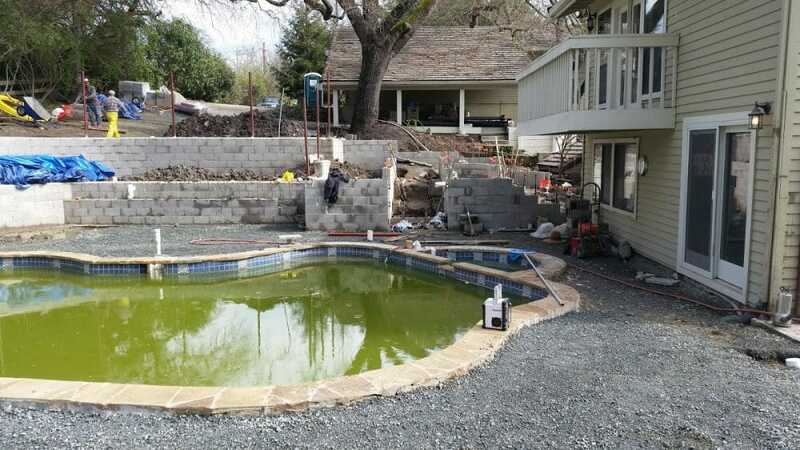 This site had other problems to fix as well. 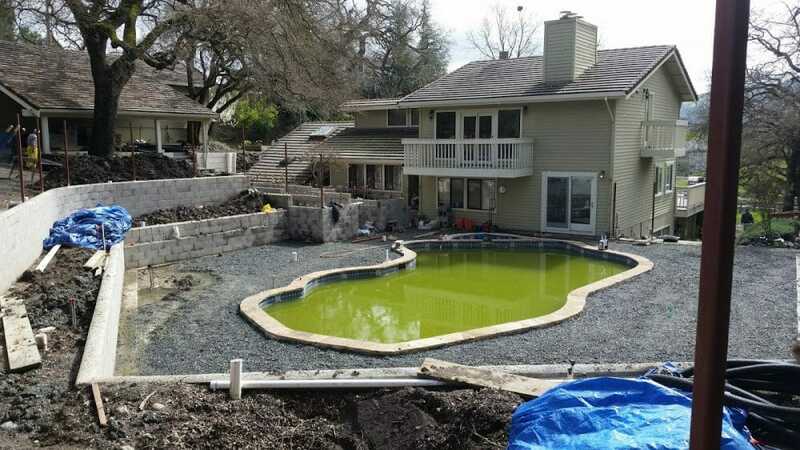 This family with four children and two dogs really needed safe places to play. 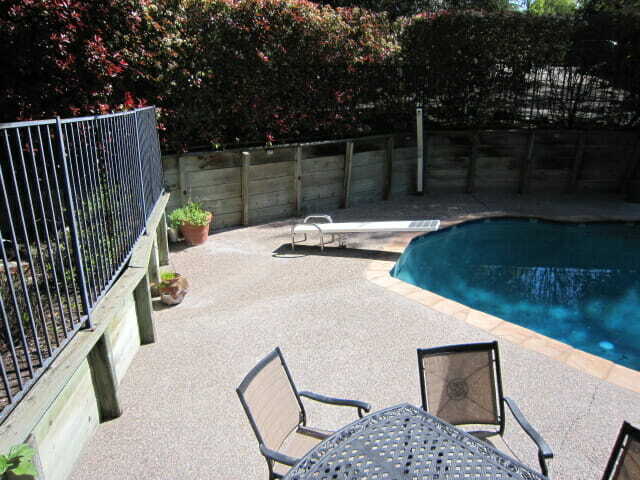 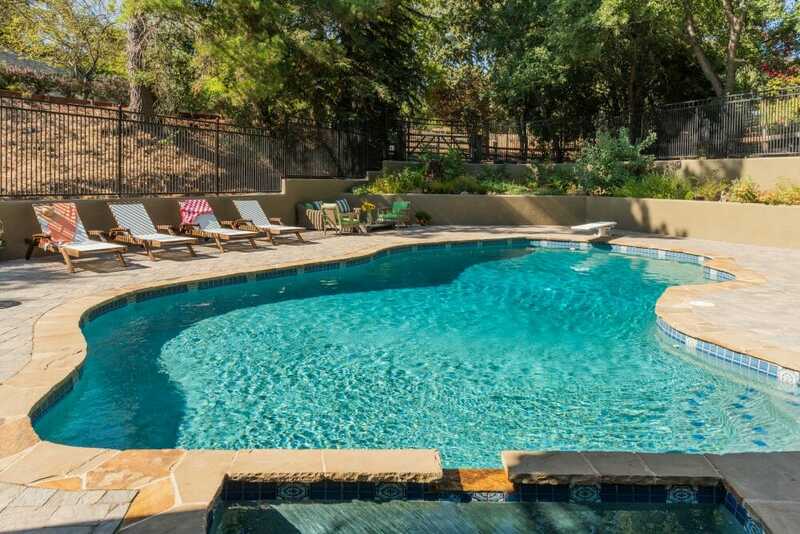 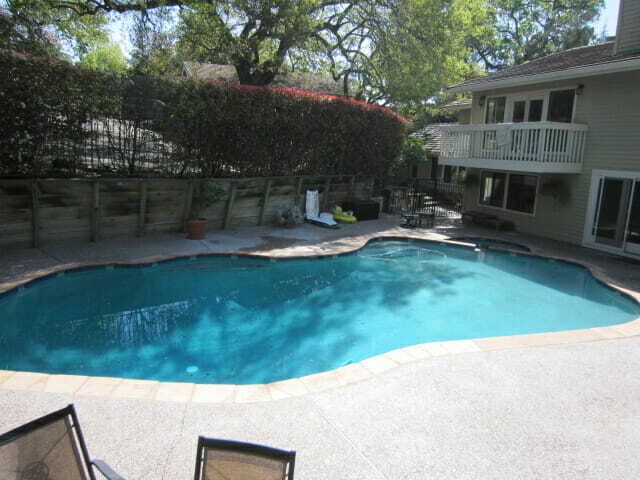 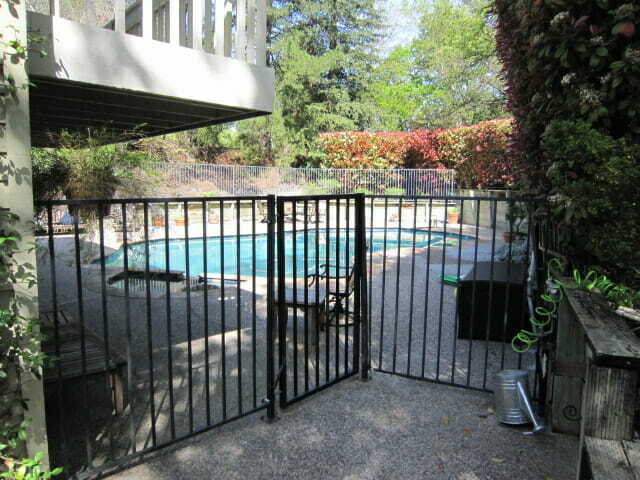 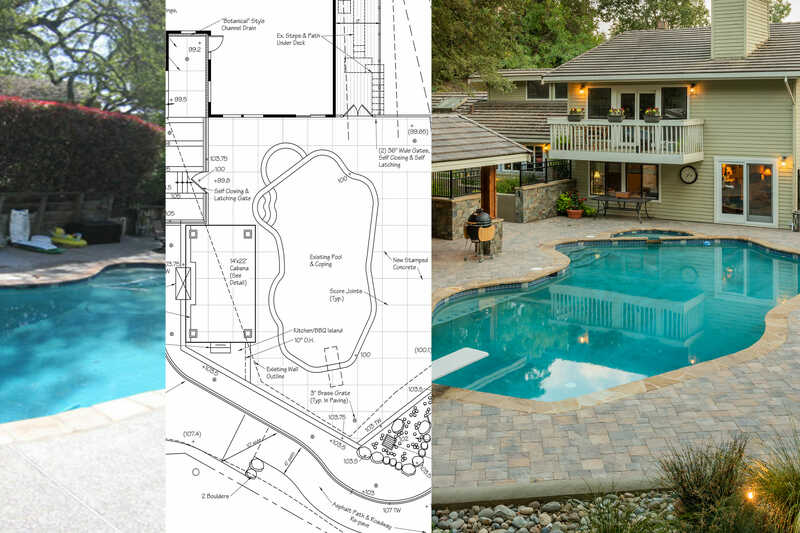 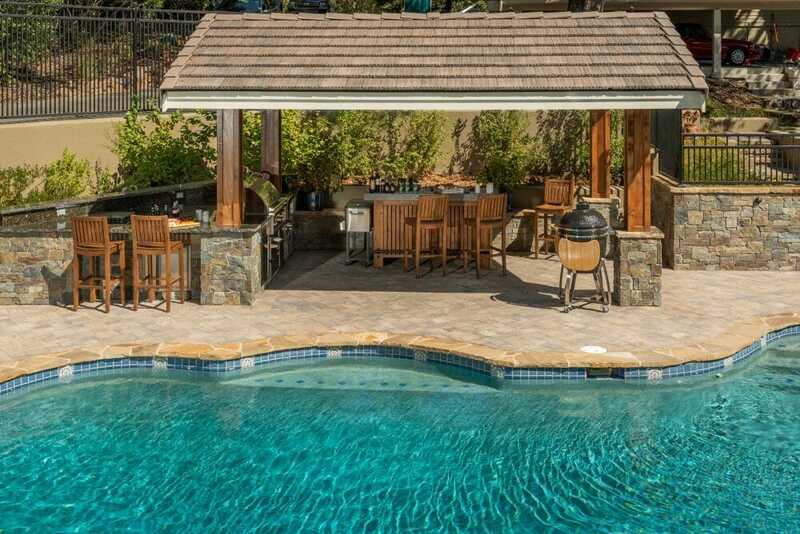 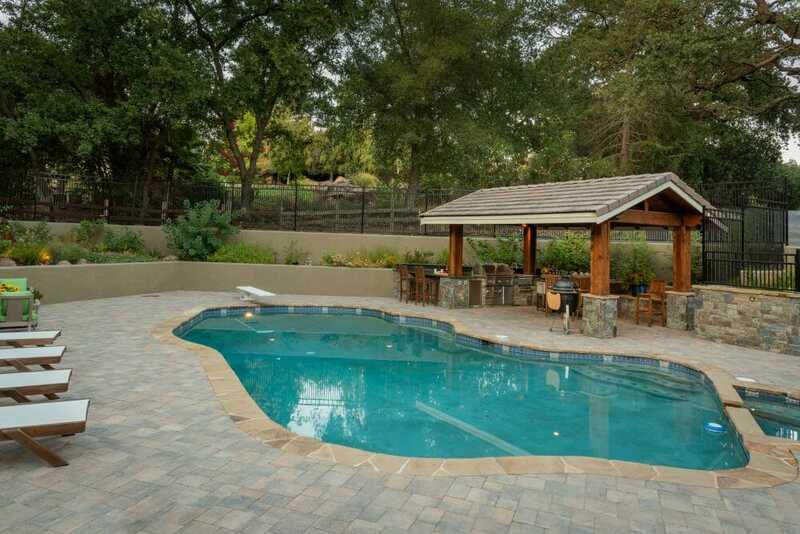 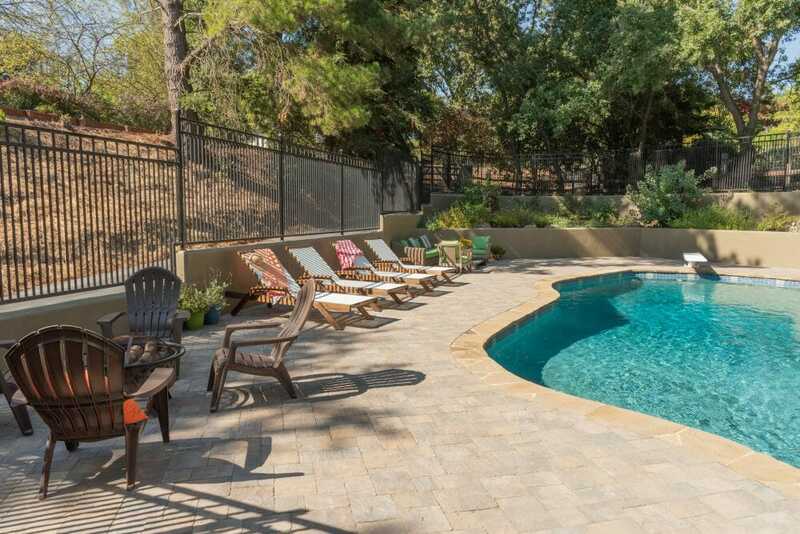 We needed to make the pool and deck area safer and more comfortable, provide fun gathering spaces for family and friends, and make paths in and around the yard clear and easy to navigate. 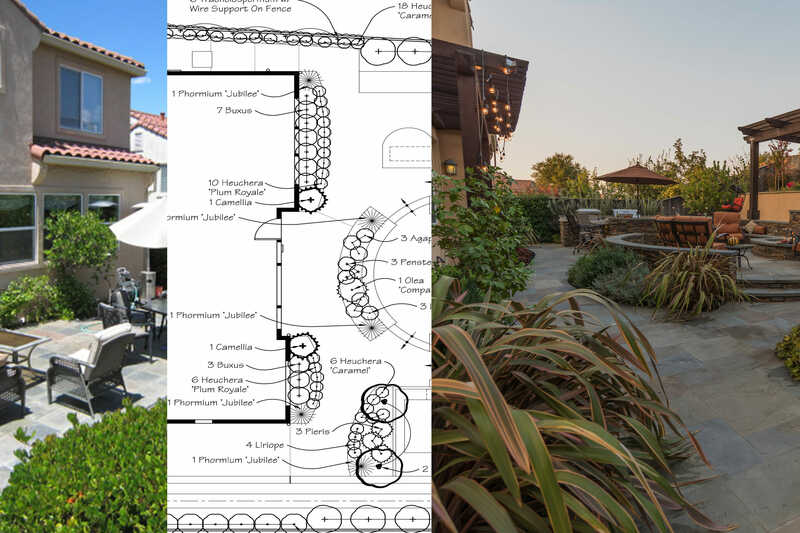 We also used the rustic and casual feeling of the neighborhood to inform our design choices. 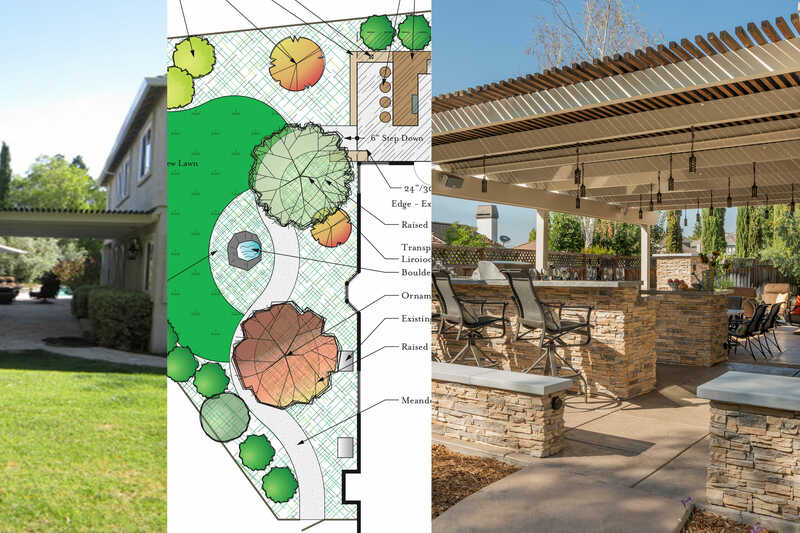 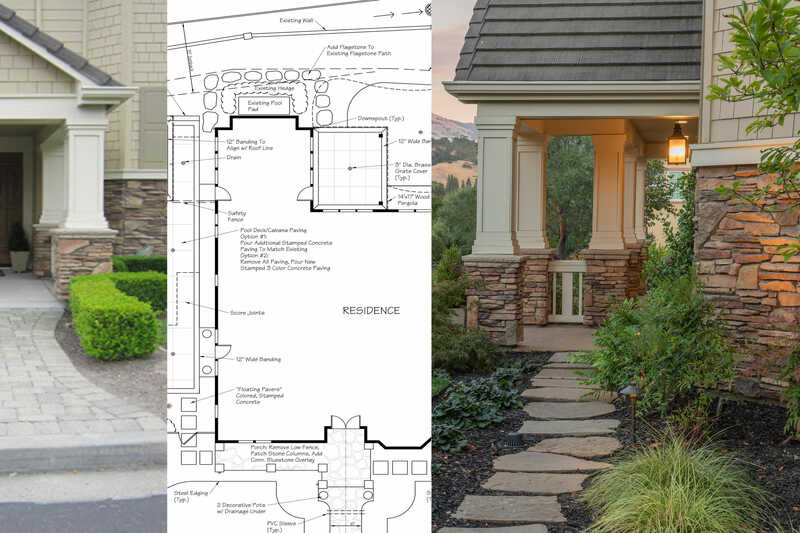 Design plans were completed and professionally installed, to produce a new yard that blends beautifully into the natural surroundings of this rural Danville neighborhood. 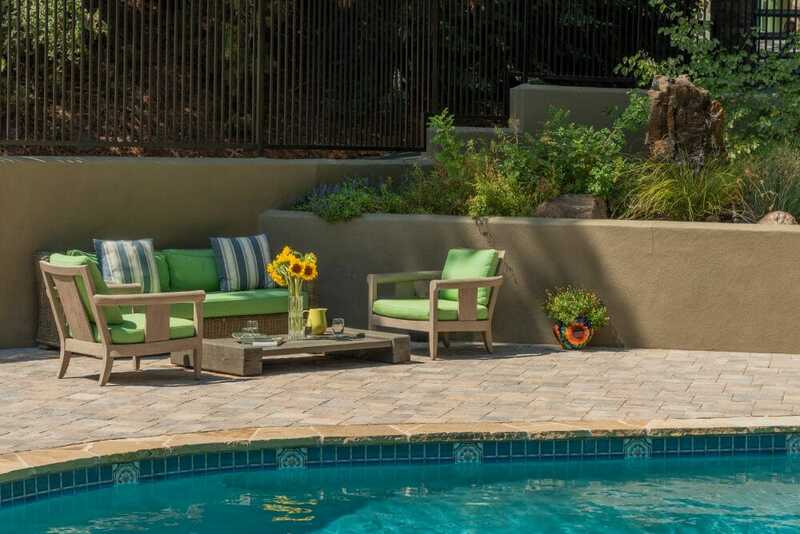 The new pool deck accommodates larger gatherings and feels more open with terraced garden walls. 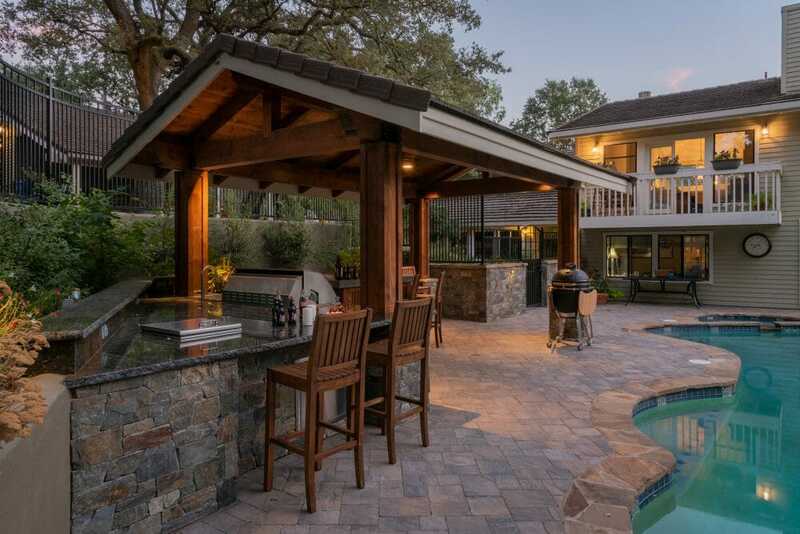 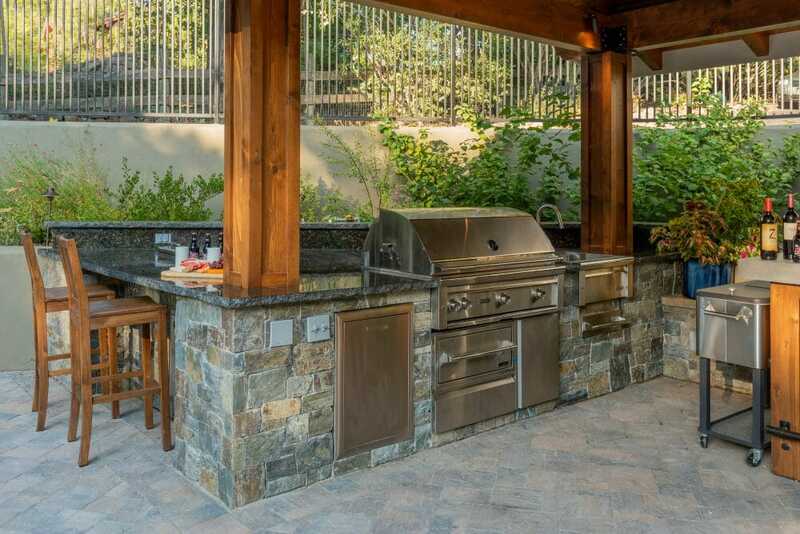 A cabana offers shade during hot summer days as well as a cooking and bar island. 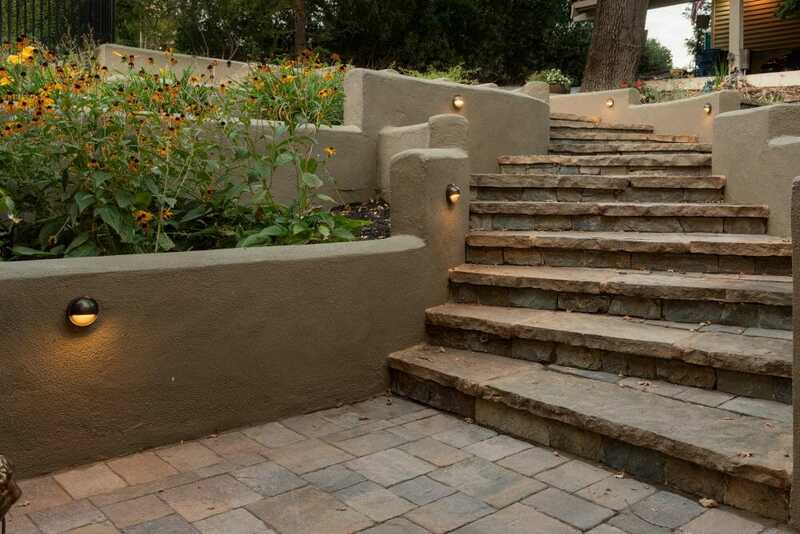 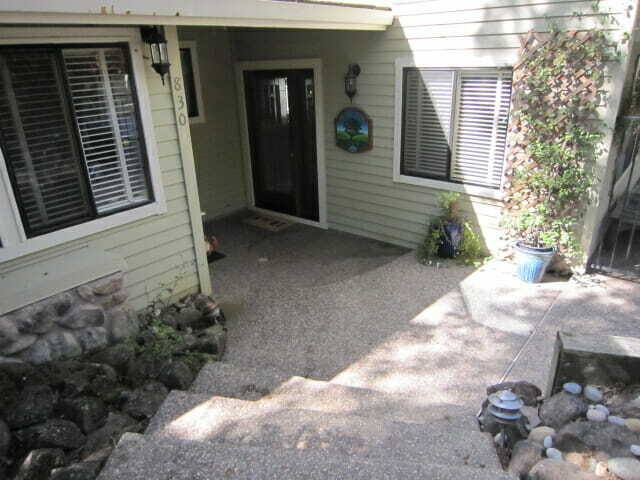 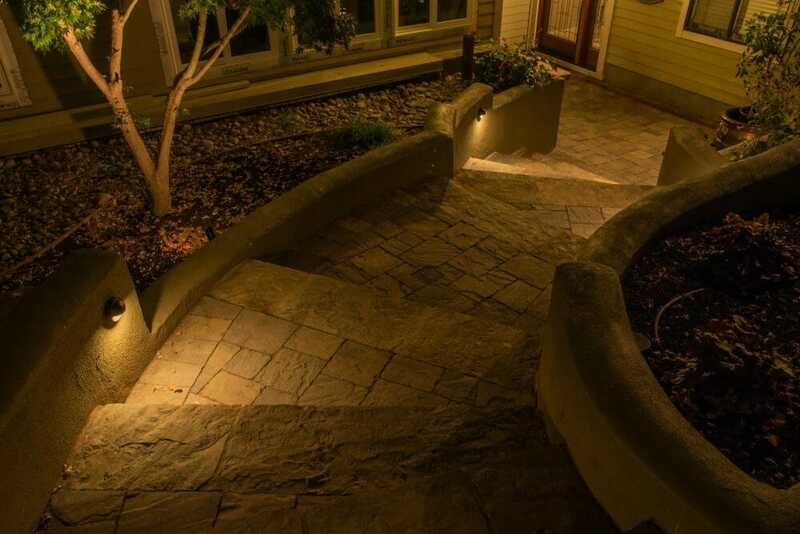 A new driveway court helps organize the parking and directs guests down masonry steps to the front door and pool gate in designated pathways through garden beds. 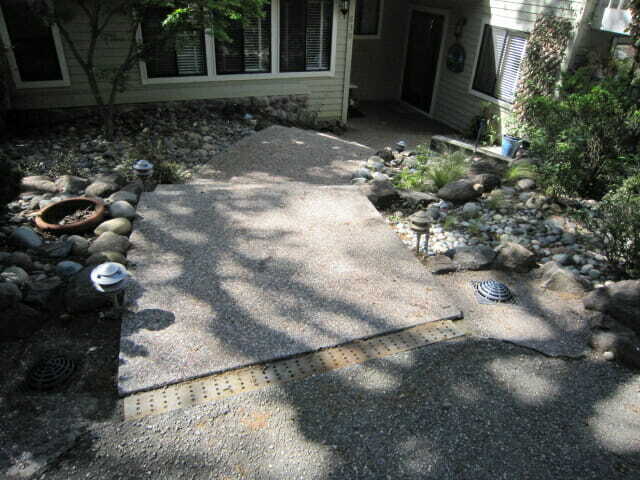 Pollinator plants fill the beds and a basalt boulder water feature provides a beautiful focal point. 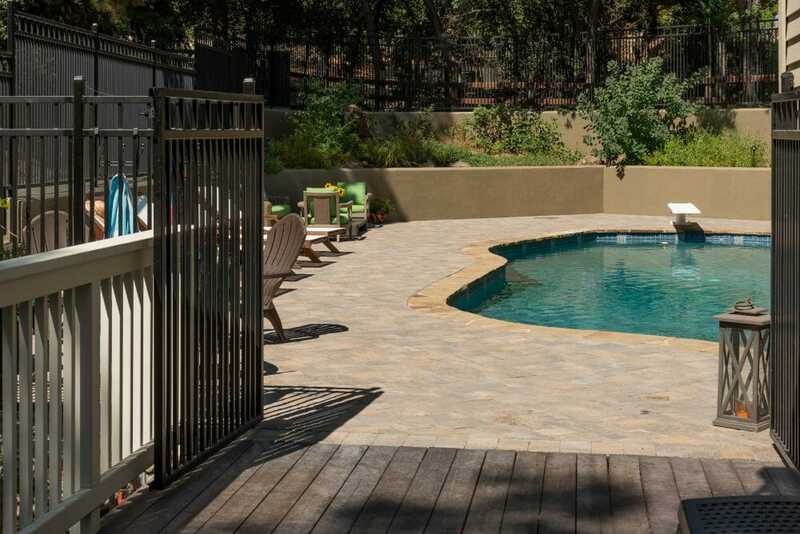 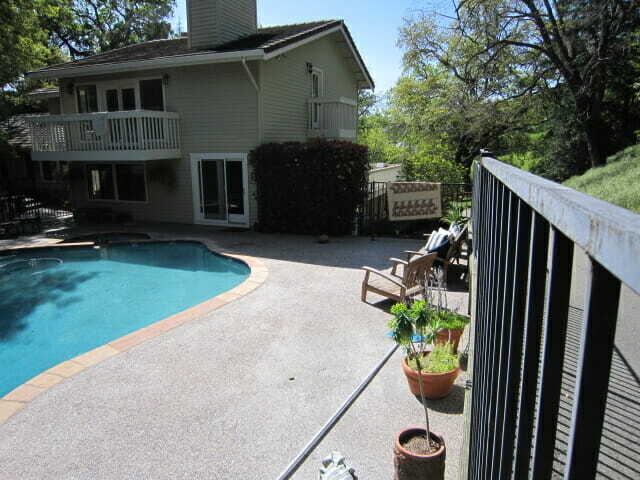 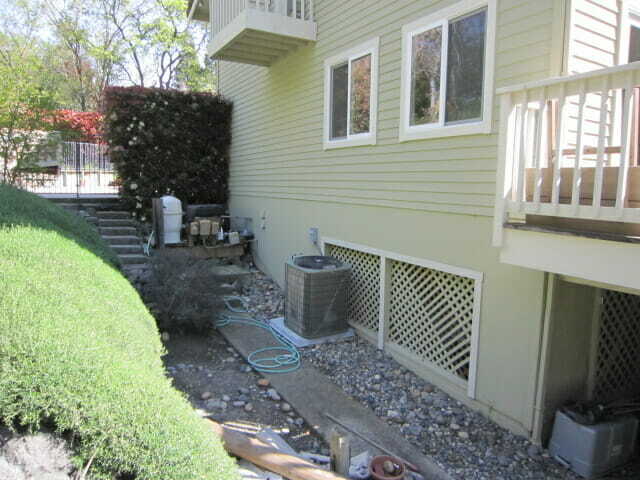 Finally, the backyard elevated deck now connects to the new pool area, allowing this active family to easily move around their house and landscape.